Danny Brock shot an opening round 8-under par 64 and went on to win the Greenville County Amateur. 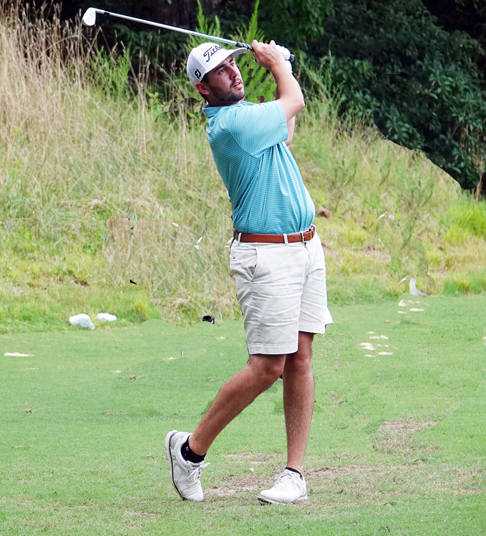 The Greenville County Amateur started with a bang on the golf course and ended with an even bigger bang off the course. 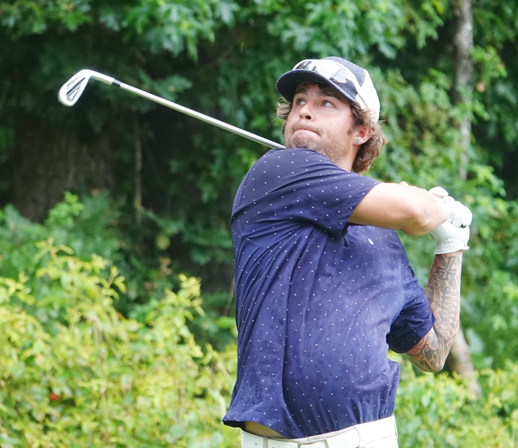 Danny Brock came within a shot of tying the tournament single round record when he started the tournament with a bang by posting an 8-under par 64 on his way to the championship at Pebble Creek Golf Club. The final bang was provided by Mother Nature when after all the golfers completed their final round. She put an exclamation point on the tournament with a sharp, bright, close by streak of lightning, a loud clap of thunder and a heavy downpour making everyone glad they had finished. “We got lucky the last couple of days,” said tournament director Robbie Gravley. “We had to move Saturday’s round to the afternoon and we got finished just in time today,” he said. 2013 Champion Todd Hendley had the lead going into the final round. The champion of the 51st annual event added rounds of 71 and 67 to the opening round 64 for a 202 total. “I had been playing a lot at Fox Run (home course) and was hitting the ball really well,” said Brock. “I thought if I could keep it going I could have a chance here,” he said. Brock came within a stroke of Brent Delahoussaye’s record setting 63, shot at the Greer Country Club in the 2001 championship. “I knew I had it going in the first round, but I didn’t want to think about it too much until I got to the 12th hole. I was 8-under par and thought something special was happening,” said Brock. Defending champion Chris Eassy shot two straight rounds of 6-under par 66 to finish in second place. 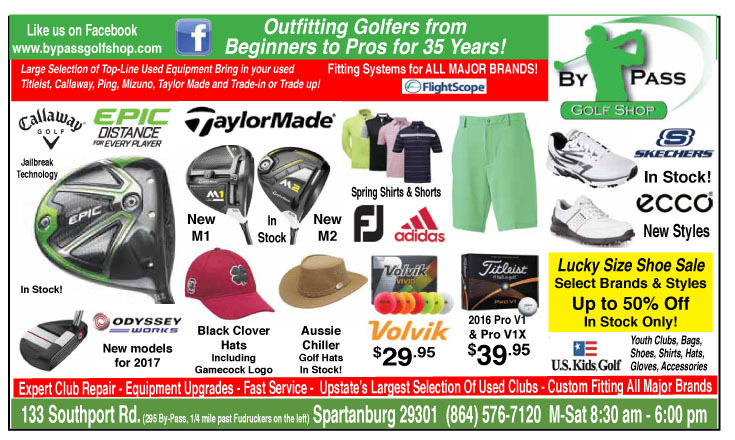 While the former USC Upstate golfer didn’t take his foot off the gas he did get a little more conservative and finished the first round with all pars. While Brock came close to tying a record the competition didn’t give him much breathing room. 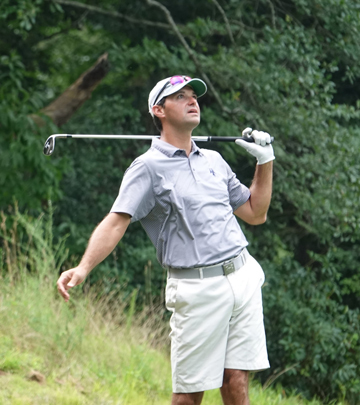 2013 champion Todd Hendley was three shots back at 67 tied with Greer’s Derrick Oyervides. Clemson golfer Colby Patton was fourth after shooting a 69. 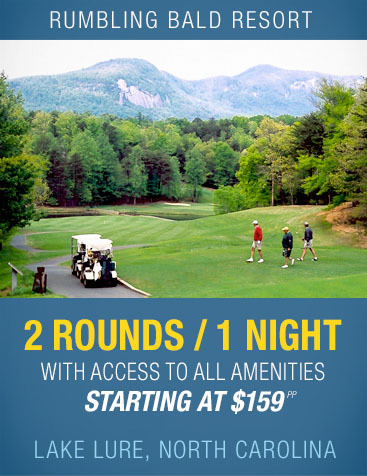 The second round of the tournament was scheduled for an early morning start to beat some bad weather. However, the rain arrived early and the second round was delayed for four hours. When golfers got on the course Brock wasn’t as sharp as he was in the first round. 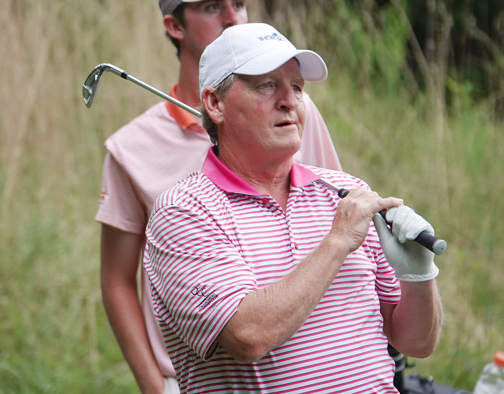 Instead it was Hendley who moved to the top of the leaderboard after carding his second straight 5-under par 67. Derrick Oyervides challenged for the lead all weekend before finishing in fourth. “It was a grind in the second round. I wanted to make sure I didn’t shoot a 77 or 78 after that first round. I was pretty happy to finish under par,” said Brock. His 1-under par 71 left the Hillcrest High grad one shot behind Hendley and tied with Oyervides at 9-under par 135. Brock didn’t waste anytime taking back the lead. He birdied four of the fist five holes to open a two shot lead and made the turn posting a 33. “I had a little trouble on a couple of holes, but things were pretty tight with everybody in my group. I knew Todd is a really good player and he could come back and I heard that Chris Eassy was playing well in font of us,” he said. Hendley hit the ball well and was in position to capitalize on his strong tee to green play, but his putter let him down. “I couldn’t get anything going. I just didn’t make many putts,” said the former champion. 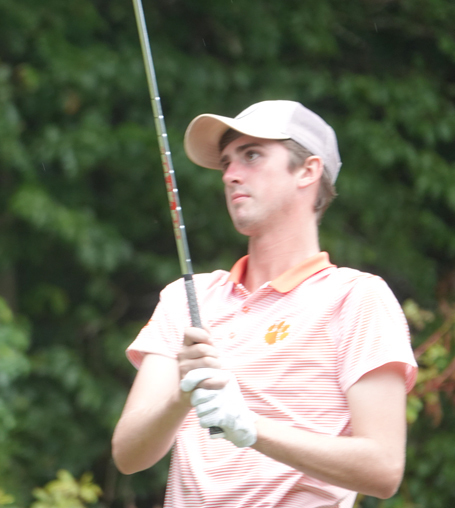 Clemson golfer Colby Patton finished in third place at the Greenville County Amateur. Eassy, the defending champion, was on a pace to duplicate his second round 6-under par 66 in the final round to put some pressure on Brock. “I think when we all started we didn’t think we had much of a chance to catch the leaders,” said Eassy. “About the only chance we had was to put a little pressure on them, but it didn’t matter at the end,” he said. Eassy would have liked to have his first round 2-over par 74 back. Making the transition from bent grass greens at his club (Holly Tree) to the Bermuda greens at Pebble Creek caused him to make a complete change in his putting between Friday and Saturday. “I changed everything about my putting overnight. Grip, speed, everything and it paid off. I wish I would have started that way,” he said. Eassy finished at 206 in second. His final round allowed him to jump over Hendley, Oyervides and Patton who all started the last day in front of the two-time champion. 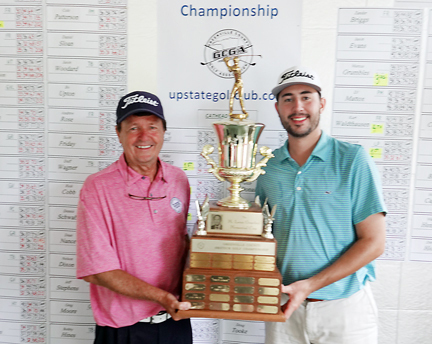 Danny Brock receives the Leon Gravley Trophy from tournament director Robbie Gravley after winning the 51st Greenville County Championship. Brock shot 34 on the back nine for a 5-under par 67. His 202 total gave him a four shot victory. 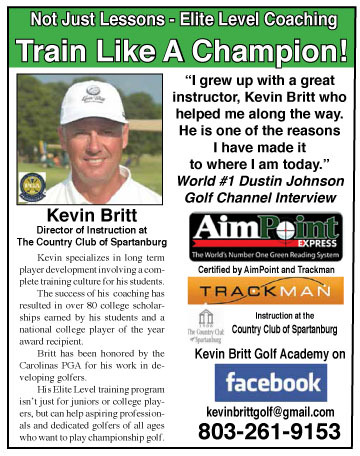 It was his best finish in the championship since he claimed third place as a high school senior. “I’ve moved back from Atlanta for a couple of years and my friends have encouraged me to play more. I am going to try to play in a few events the rest of the summer and this win gives me the confidence I need to keep playing well,” concluded the new Greenville County champion. The Allison Cup, which goes to the Greenville club whose members post the best scores in the tournament was won by Fox Run Country Club which ended the four year championship run of Holly Tree. 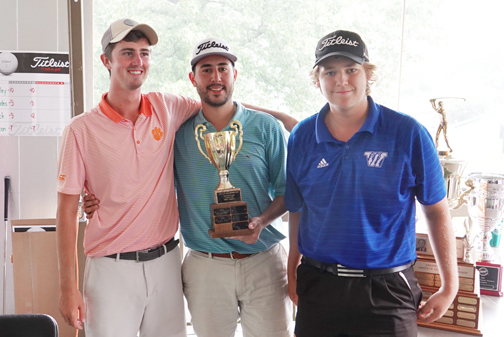 Fox Run golfers won the Allison Cup at the Greenville County Championship. Flight winners included, First Flight – Mike Hartin, 220, Second Flight – Grayson Crawford, Third Flight – Bill Silva. Todd Murphy scored a hole-in-one on number 5 in the final round.